It was one of my very favorite times during church – children’s sermon. Lots of children seated up front on the steps and the question posed was, “what do you do if something at home needs to be fixed?”. Travis very excitedly and with confidence shouted out, “call a professional!” I loved that child – he was one of those zesty kids who had a sparkle in his eye and was not bound by too many conventions in life. There was laughter and a moment of redirect. I have noticed that within some of the Christian contexts of my life, there is a great reluctance and sometimes even a stigma associated with expressing struggles and seeking professional help– in particular, in the area of mental health. Do we sometimes think God should be sufficient for absolutely everything and we are failures if we need this kind of help? Are we afraid of what others will think or say about us if they find out? Is it that we are admitting some kind of defeat or weakness of self? I am sure there are a myriad of thoughts and reasons around this. Maybe the American values of being self-made and self-sufficient are all tangled up in it. With seven people in our family, there have been several occasions when we have needed to call a professional. I recall the very first time many years ago. If I am honest with myself, pride and arrogance along with fear of the unknown were at the root of my reluctance. Somehow my thinking on this issue had gotten really twisted. But the truth of the matter is that getting help was a huge relief. We needed it. Things were happening that we didn’t have the tools to address and our children and family would suffer if I let my pride stand in the way of getting help. I think back to three conversations related to this topic. One was with a minister who expressed something along the lines of “surely there are other people in this church who are struggling with their children – why don’t we talk to each other about this?” And a porch conversation with a minister’s spouse who told me that she and her husband had been going to see a therapist. She recounted that she had been quite honest and talked about this fairly openly. Her view was that this was a healthy and helpful thing to do for their marriage and family. She was puzzled and surprised by the people who literally came and whispered in her ear or called her later asking her questions about this as though it was a big secret shame. Her friends needed help too, but they were afraid, shamed, or somehow needed permission from the minister’s family to go and get that help. And a recent conversation with a dear friend who did go and see a mental health professional – “there were a lot of families in the waiting room – there are a lot of us”. So, to answer my question about when to call a professional, one thought is that when daily life is interrupted. When we get stuck and just feel like we are barely keeping our heads above water. When things are chaotic on a regular basis or there is an issue for us or our children that we just can’t handle alone. In the context of children with early relational trauma, why do we expect to be able to naturally navigate all that may come our way? As one professional said to me, “this is very specialized parenting”. She also imparted this wisdom to me – it is a privilege to be able to work through some of these things with a professional. And indeed it is. In Ecclesiastes, it says, “Though one may be overpowered, two can defend themselves. 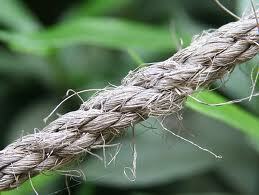 A cord of three strands is not quickly broken”. I’ve always envisioned God in that mix of three, but also know that another person is a part of that cord as well. For the sake of our families, when it is time, may we confidently seek the help that we all need at some point and deeply know the joy of sharing the struggles of life with another.